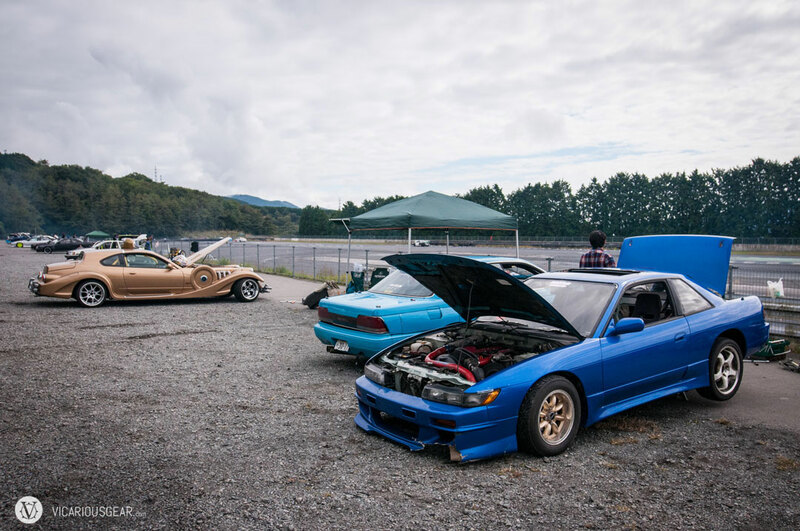 This past Sunday I drove out to Fuji Speedway for the Slammed Society car show. In order to avoid the horrendous weekend traffic, my friend Danny and I decided to get there early and see if there were any side events happening at the facility to keep us occupied while waiting for the show to start. Wandering aimlessly around such a beautiful track couldn’t turn out that bad. 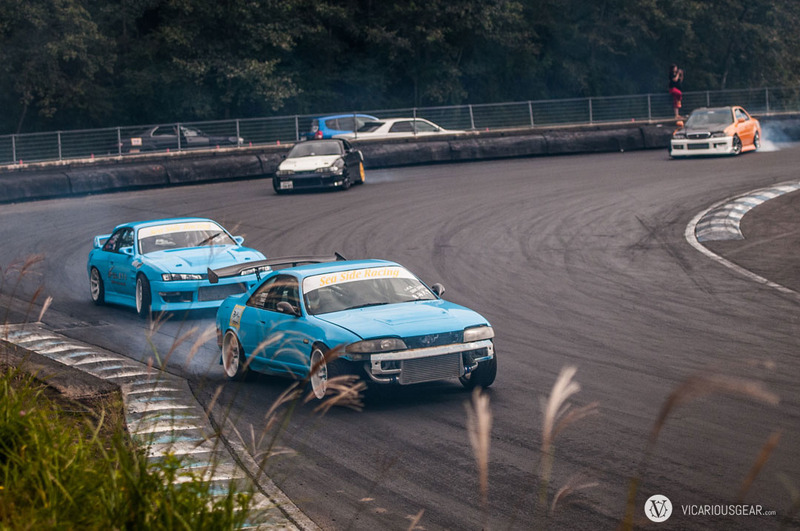 Fortunately for us, the drift course is open regularly and there were a bunch of drivers out there practicing. 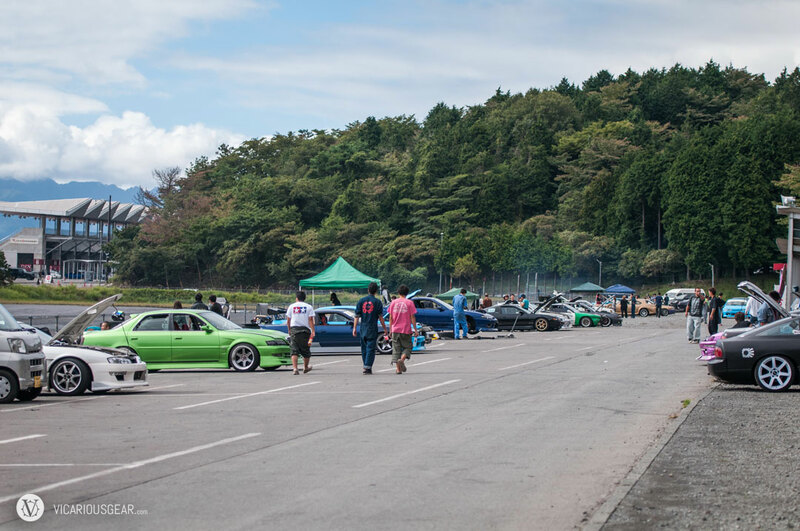 After paying 1000円 (about $10) to enter the Fuji Speedway grounds, we made our way over as spectators. 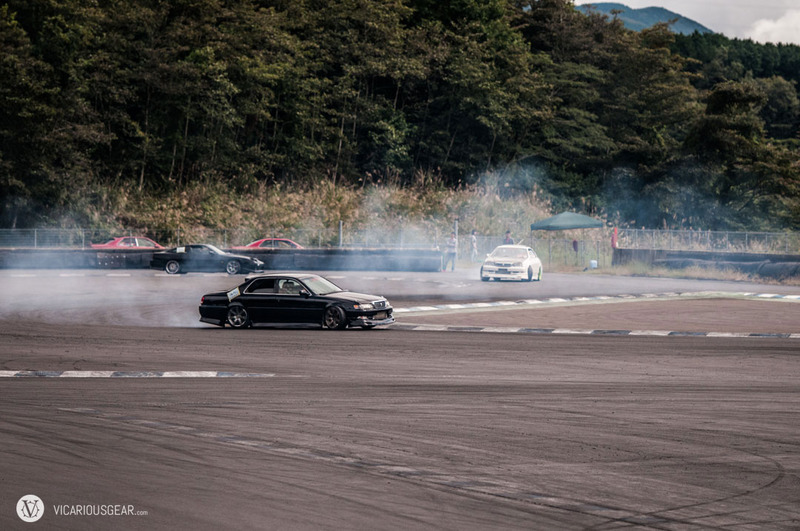 This was my first time going to one of the Japanese drift tracks and I was pretty amazed at how many grassroots drifters were out practicing. The amount of rubber burnt in this country must be on par with beer consumption. 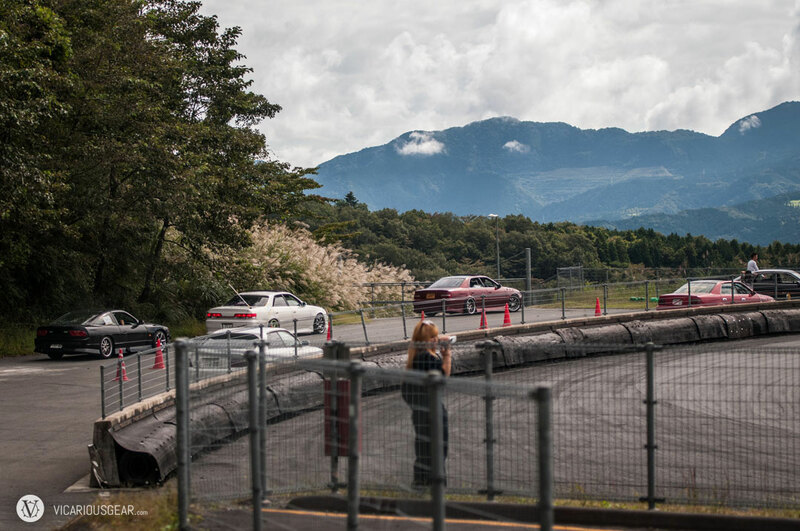 One other aspect that I found really cool was how well-mannered the drivers were and their ability to correctly asses what level run group they should be in. 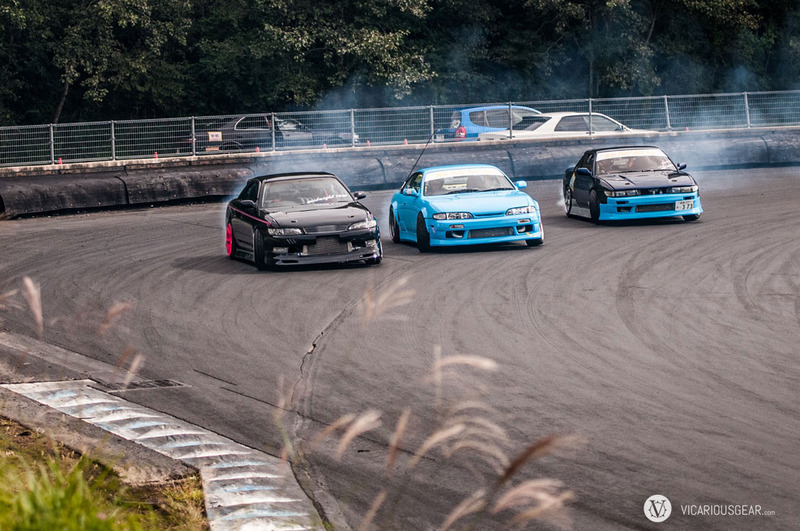 I’m sure in America, with the relatively open structure, huge egos would lead to pitifully slow cars in the middle of experienced groups and subsequently cause a few accidents. If only there were more facilities and competitors like this back home. An impressive turnout. The place was completely packed by mid afternoon. In for a quick tire swap. 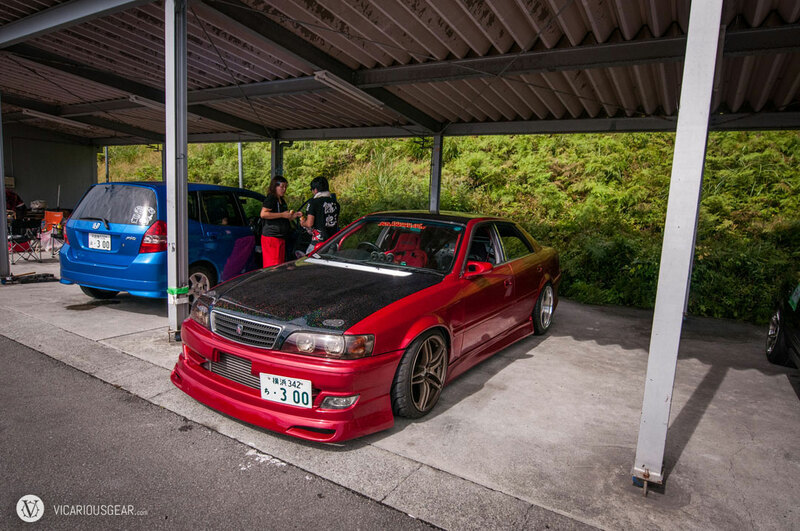 While its not something I could live with, the utilitarian look adds some great character to the cars. 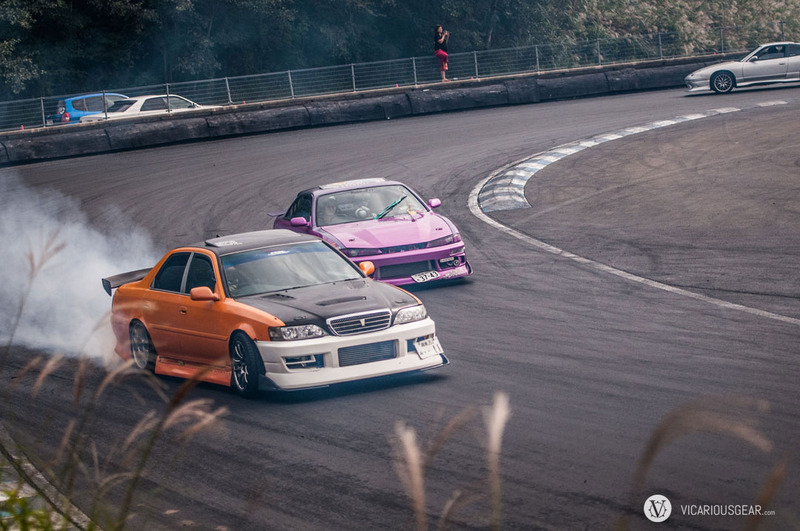 A super clean, track inspired, 6th gen hatch. I felt like I was back in the 90s. 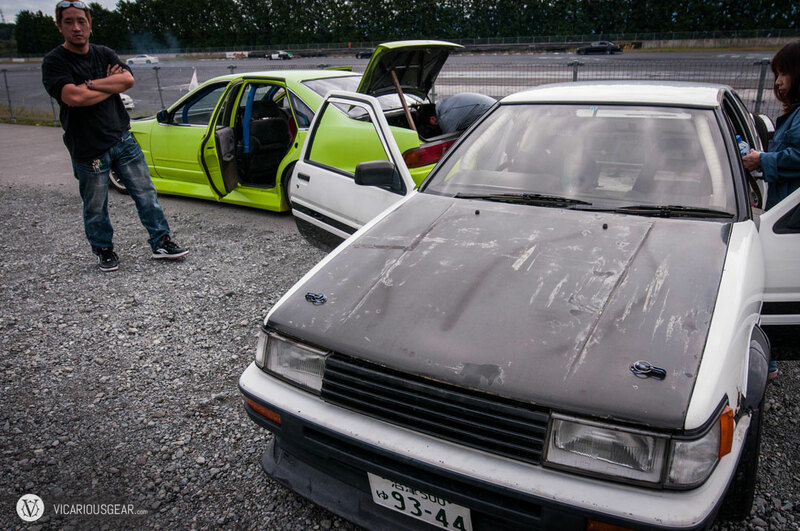 Not all the cars were rough around the edges. The highly metallic paint on this X100 Chaser was flawless. 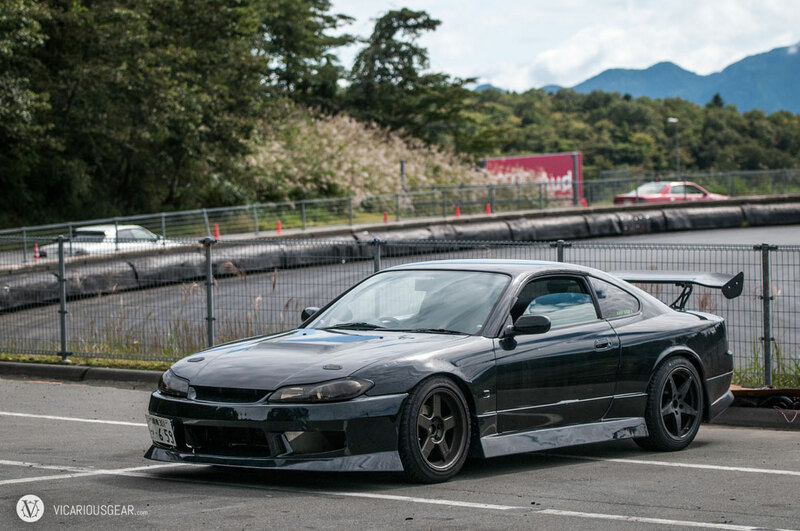 A sinister S15 waiting on its turn to play. 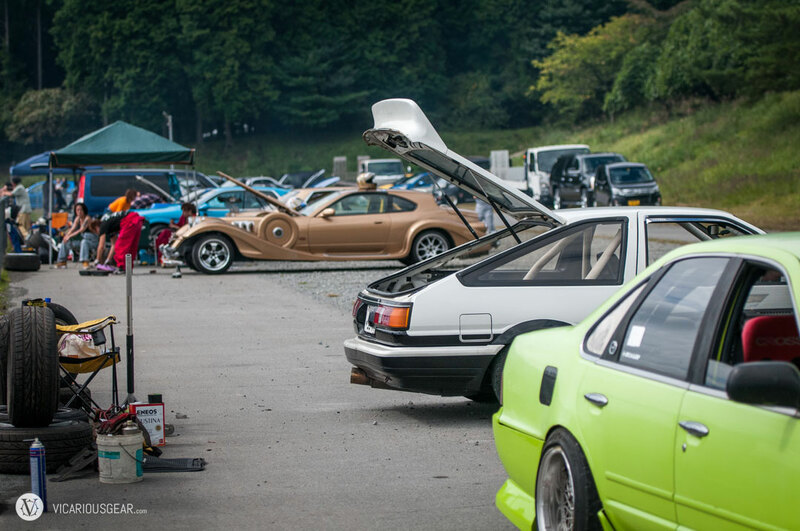 The staging area had quite the view to keep you occupied while waiting. 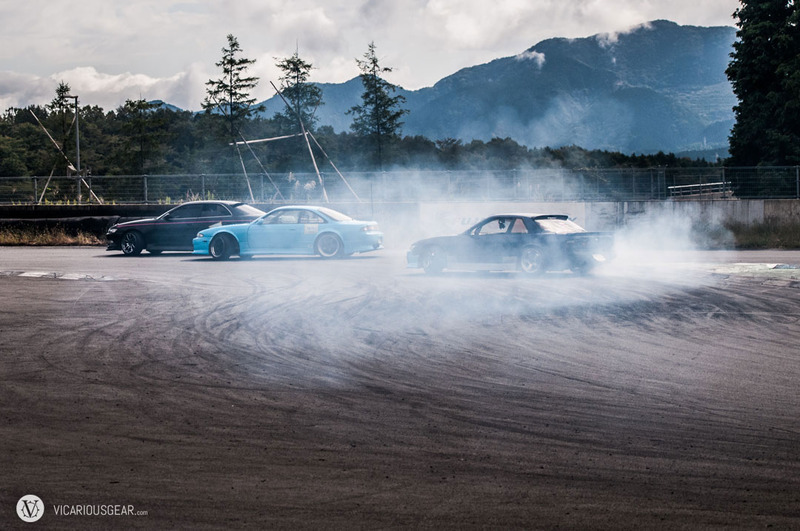 That fog descending from Japan’s mountains might not be what you think. 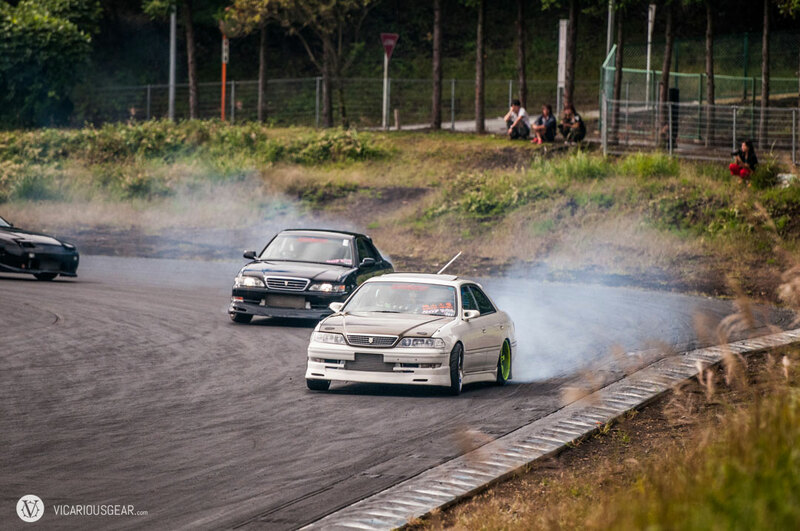 The best tandem effort I witnessed during my short time at the drift track. 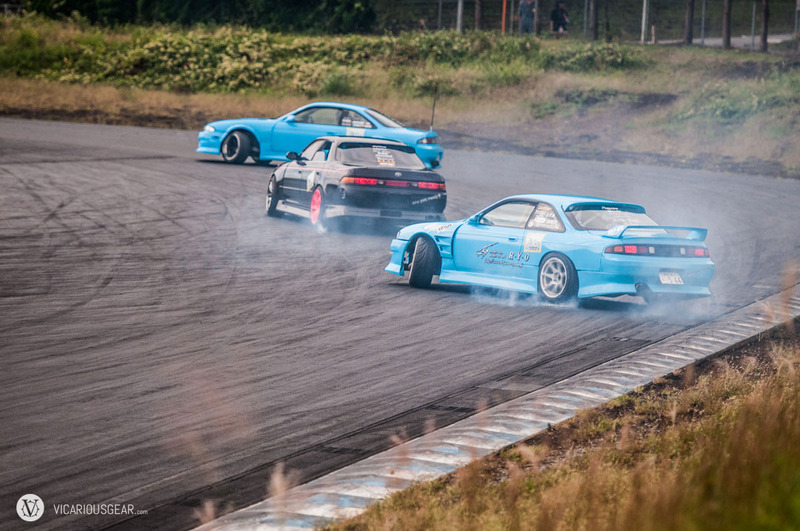 Sell Side Racing was out in force and mixing it up with the other drifters. This guy was throwing the most smoke. 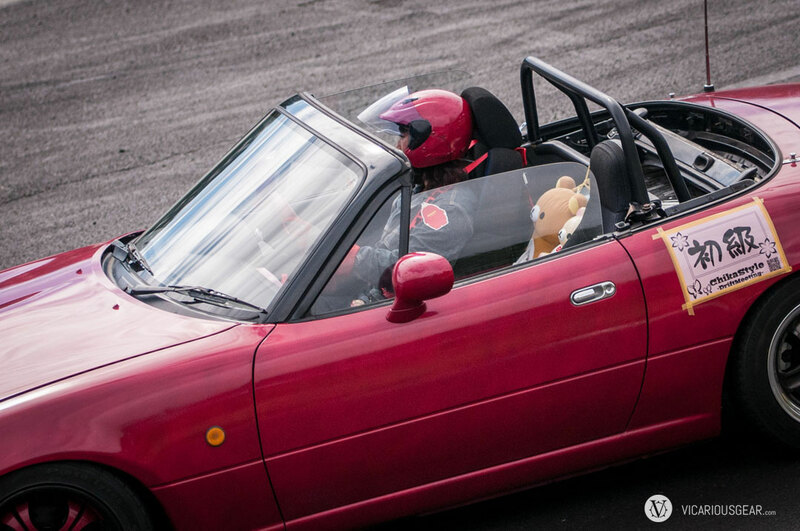 Rilakkuma and friends along for the wild ride. 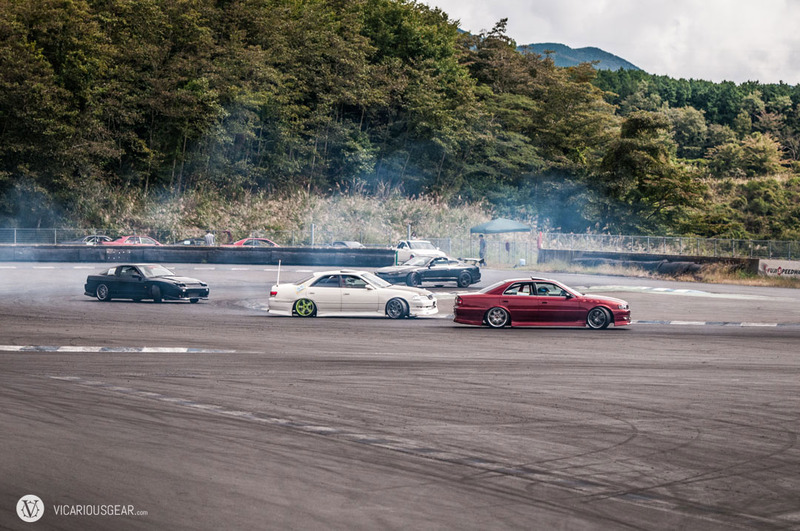 The big sedans were quite popular that day. 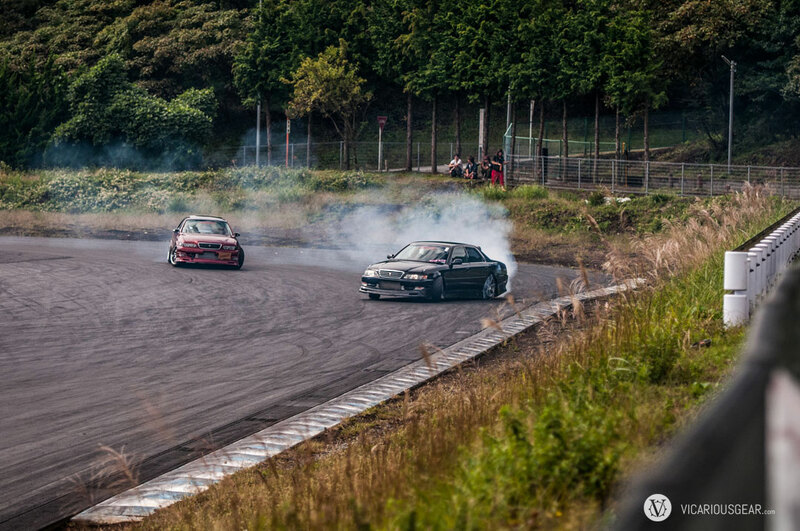 It wouldn’t be drifting without at least one bodywork casualty. 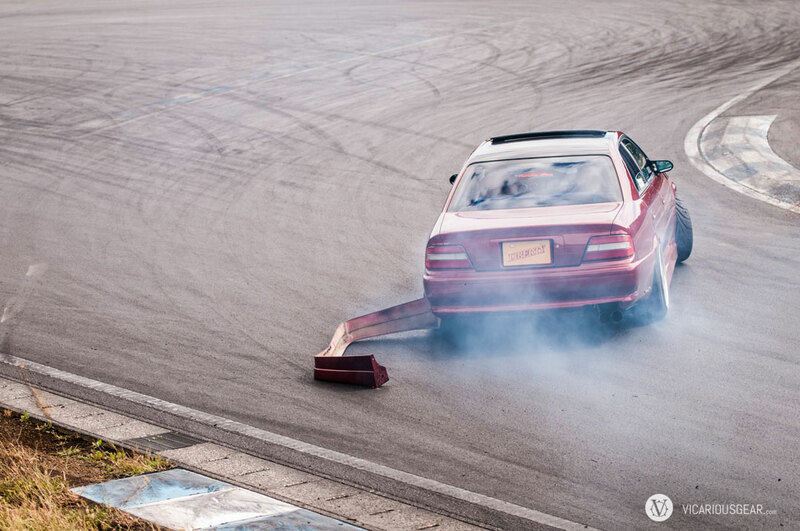 The bumper made it through three corners before flying off. 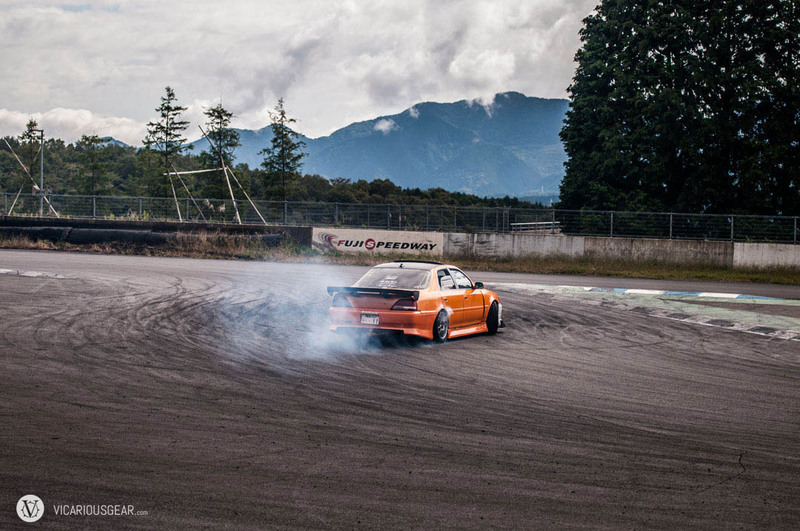 Just up the hill was a cone lined skidpad area for the less experienced drivers to practice. 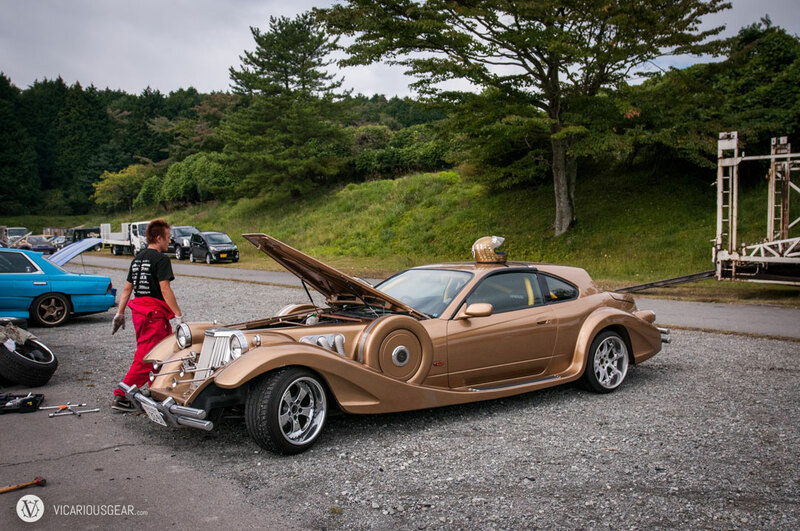 Unfortunately the Mitsuoka Le Seyde was packing up to leave and I didn’t get to witness it going sideways. 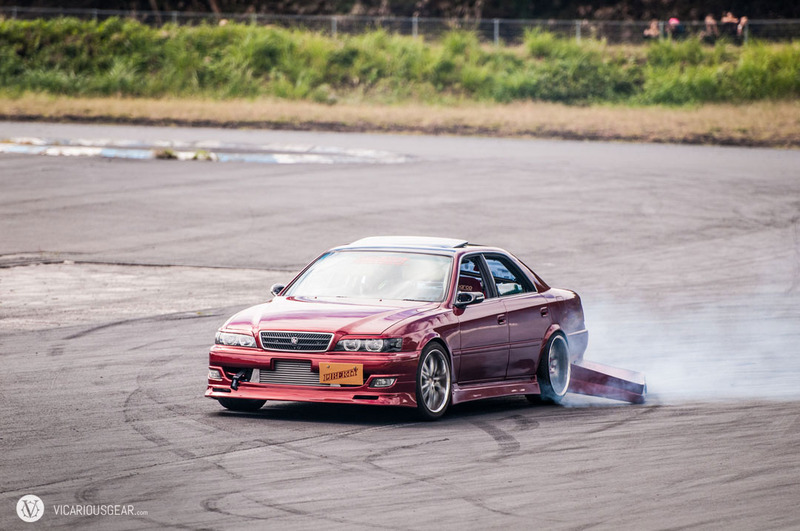 I couldn’t resist doing this with those tire marks already on the pavement. Unfortunately my measly L20 doesn’t make enough power for this to be reality.